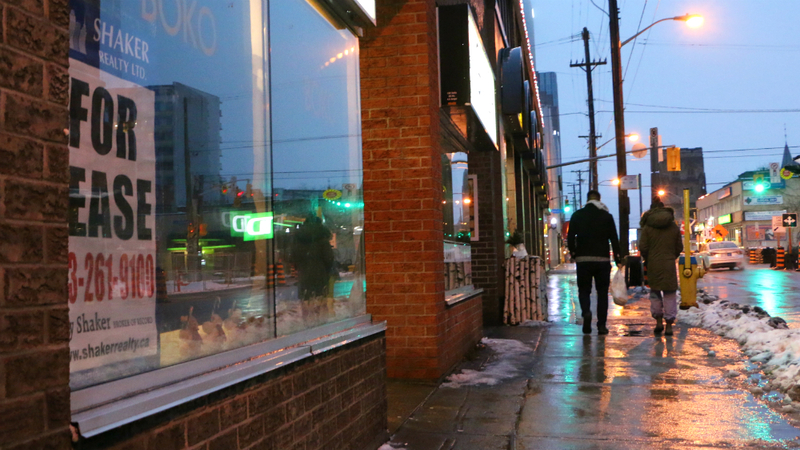 A man, mindful of the slick, icy sidewalk caused by a night of freezing rain, approaches the small Boko Bakery on Elgin Street and stops. It’s minutes before opening and only a few lights in the back are turned on. He opens the door and pokes his head in. “Hello?” he asks, waiting for the go-ahead from owner Yoko Sakiyama, who was still preparing for a big day in the back of the shop. With permission from Sakiyama, the man became the first customer at Boko Bakery on Nov. 25, its last day of business. 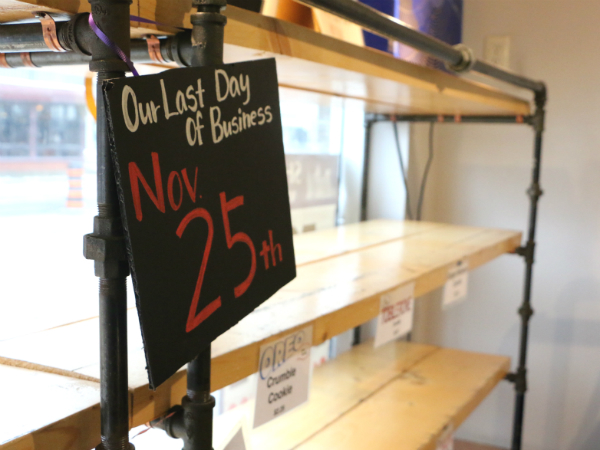 Boko Bakery announced the decision to close on its Facebook page in mid-October. To commemorate the bakery’s final day, each customer was given a free cookie and all the day’s proceeds were given to Elgin Street Public School and the Jack Purcell Community Centre. 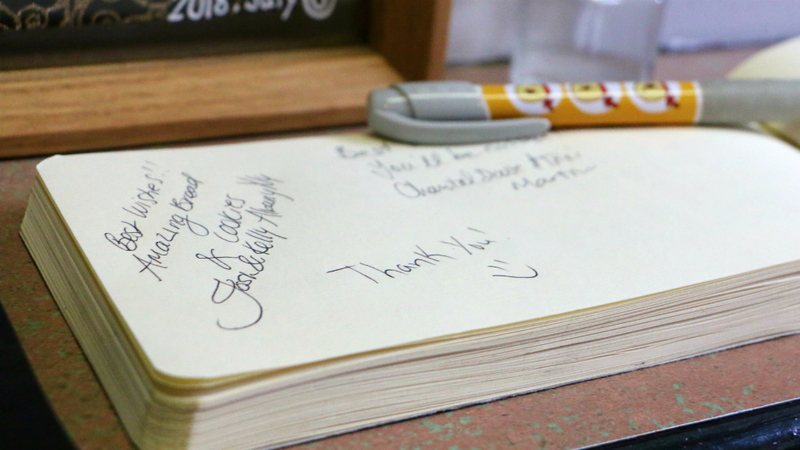 Flowers and countless personal messages in the bakery guest book left by customers are a lasting memory of a valued place of business that is today an empty storefront at 280 Elgin St. As of publication, it’s unknown what will replace the bakery. 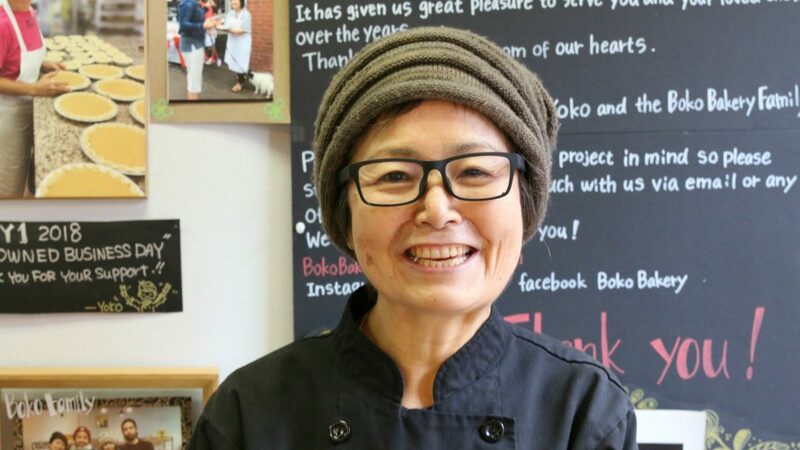 Boko Bakery has had two locations over its 36-year history in Ottawa. It started in the Byward Market in 1982. The second location on Elgin Street opened in 1993. It became the primary bakery in the late 1990s, when the Byward store closed. “Marvelous, marvelous, lovely and wonderful,” says one woman after hugging Sakiyama goodbye one final time. 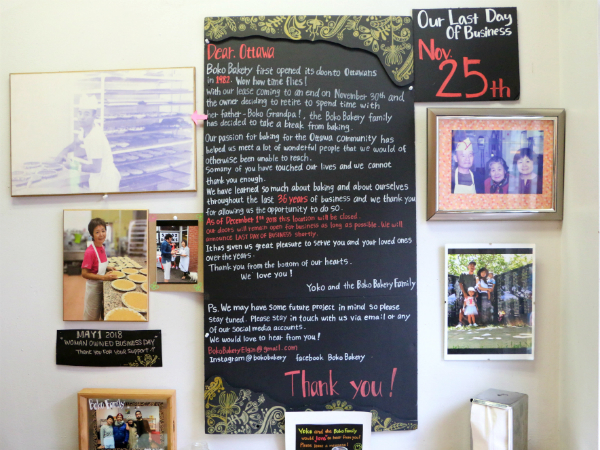 Boko Bakery’s lasting legacy is in part due to its 36 years in business in Ottawa. The bakery first opened in 1982 at its original location in the Byward Market. In 1993, they expanded into Centretown. Without their support, I can’t do this vision so thank you very much for that, Ottawa. I love you. I’ll be back. Sakiyama began baking when she took over her ex-husband’s business in Japan, accidentally falling into her future career here in Ottawa and into a community that supported her niche style of baking. 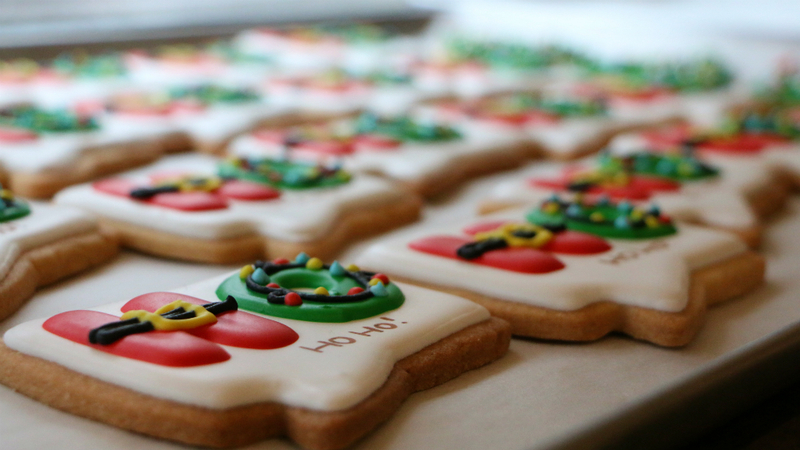 Over the years, Boko Bakery became known as the go-to spot for uniquely designed sugar cookies. From Pokémon to Disney to marijuana-themed, the treats were often inspired by popular culture and current trends. Among Sakiyama’s favourite baked goods are the Christmas bears, which she’s been making for 20 years. She says customers use the bears as name placeholders at Christmas dinners, or they turn them into wreaths. Since she’s usually busy running the bakery, Sakiyama says she hasn’t had a real Christmas dinner for a while. “This year I really want to enjoy it on time,” she says. While Sakiyama says she still has plenty of energy to continue baking, she is closing her bakery to spend more time with her father, 92, who lives in Japan. Matt Kidd, bread baker, has been part of Boko’s staff for 23 years. Less than an hour before opening — having been there since 2 a.m. — Kidd could be seen bustling in the kitchen, preparing for the bakery’s last hurrah. Despite his longest shift ever and the bakery’s imminent closing, he was in good spirits as he said goodbye to Sakiyama. Dustin Gavin, who has been a devoted customer for 10 years, says his favourite treat is the Nutella-filled cookie, which had already sold out by the time he arrived at the bakery on its final day. “I can always hope that they come back one day,” he said. As something to hold onto for Boko die-hards like Gavin, Sakiyama says she plans to pass the Boko name on to her two sons to possibly use in the future. Although she says she’ll miss the baking, she says she’ll also miss the customers themselves, many of whom left thankful comments on the bakery’s Facebook and Instagram pages. 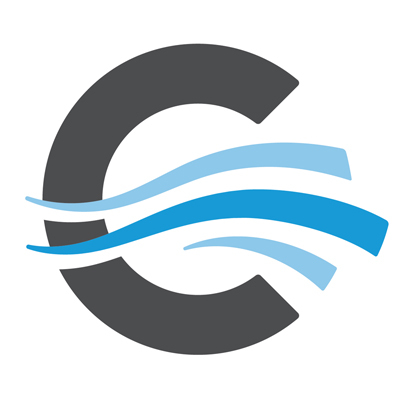 Sakiyama may have closed at a good time as Elgin Street between Gloucester and Isabella Streets will be closed to car traffic for much of 2019 as part of a city streetscape renewal project. Details can be found on the city’s website.